Here's the live streaming information of Krishna Janmashtami 2017 celebrations in holy places like Mathura, Dwarka and Vrindavan. ISKCON and Art of Living also host it in grand way. 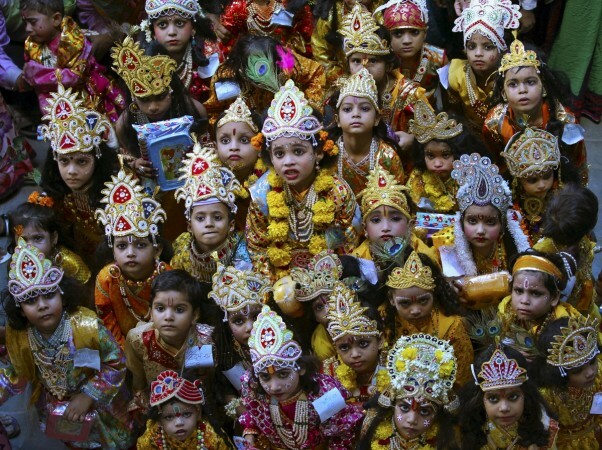 Krishna Janmashtami is a Hindu festival that marks the birth of Lord Krishna. Believed to be an incarnation of Lord Vishnu, lord Krishna was born on the eighth day or Ashtami at midnight in the holy month of Shravana. Hence, this year, devotees across the world will celebrate it on Monday, August 14. In some place, the festival will also be observed on the next day, August 15. 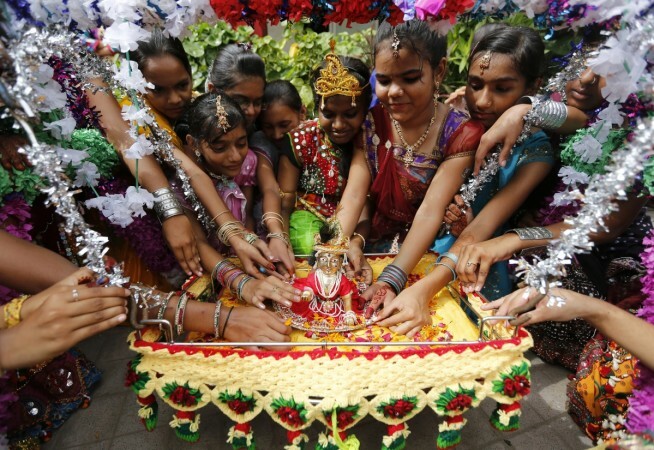 On the special day, devotees pay a visit to Krishna temples besides celebrating it with great enthusiasm by holding dance and drama performances, Dahi Handi and others. Janmashtami is celeberated in a grand way and special pujas are organised for millions of devotees, particulary where Krisha was born and brought up - Dwarka, Mathura, Vrindavan. However, those who can't visit these holy places, can now witness the special decoration, pujas that are a part of tradition in different places, in the comfort of their homes. We bring you the live steaming information of celebrations in different parts of the country. DD National will live telecast Janmashtami celebrations from Mathura and Dwarka on August 15 from 11:25 p.m.
Live webcast of Krishna Janmahotsav 2017 will be available on August 25 from 11.30 p.m. onwards at Sri Dwarkadhish Jagad Mandir website. Art of the Living, a spiritual and cultural organisation founded by Sri Sri Ravi Shankar will be celebrating the festival in Mumbai and Bengaluru. The Art of the Living centre in Bengaluru will be webcasting live event from 7 p.m. onwards. Zee 24 Taas channel is likely to host live streaming of Krishna Janmashtami celebrations from different places across the country. Sri Shankara TV may also hold the celebration from Vrindavan.